Southern University football will open the first two weeks of the 2016 schedule on the road against in-state opponents ULM and Tulane before beginning the final year of the Southwestern Athletic Conference’s nine-game mandate on Sept. 17. The Jaguars travel to Monroe to face ULM on Sept. 3 in the first-ever meeting between the two schools on Sept. 3. The 2016 opener marks the fourth consecutive year the Jaguars open against a FBS opponents. On Sept. 10, Southern will make their Yulman Stadium debut in the first game against Tulane since 2002. With the SWAC switching to a seven-game conference schedule in 2017, Southern opens the final year of the nine-game conference slate against Alabama State in the home opener on Sept. 17 in A.W. Mumford Stadium. Southern closes out the first month of the season on the road at Alabama A&M on Sept. 24 before observing back-to-back bye weeks during the first two Saturday’s in October. On October 15, Southern renews one of the SWAC’s most-intense rivalry when the Jaguars travel north on Interstate 55 to face Jackson State in Mississippi Veterans Memorial Stadium in Jackson, Miss. 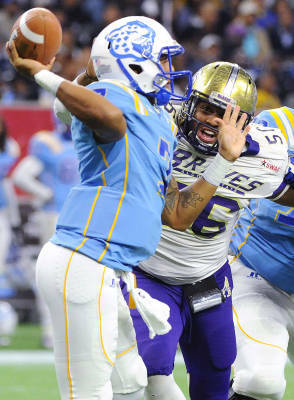 Southern hosts SWAC western division foe Arkansas-Pine Bluff for its 2016 Homecoming game on Oct. 22 before meeting two-time defending SWAC champion Alcorn State on the road in Lorman, Miss on Oct. 29. The November slate opens hosting Texas Southern in A.W. Mumford Stadium before playing on the campus of Prairie View A&M in the Panther’s new stadium. Mississippi Valley State serves as the Jaguars home finale opponent on Nov. 19, replacing the program’s longstanding pre-Bayou Classic bye week. Southern concludes the 2016 campaign against arch-rival Grambling State in the 43rd annual Bayou Classic in the Mercedes-Benz Superdome on Nov. 26. Fans are encouraged to contact the Southern University Ticket Office at 225-771-3171 for information on purchasing season books. All times are tentative and subject to change.